Editor's note: This post was originally written in 2014 and has since been updated for maximum relevance. 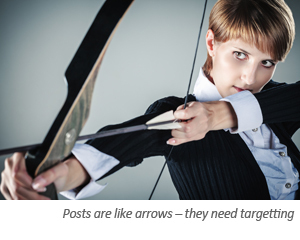 I like to think of blog posts as arrows – powerful, accurate and effective – but only if they are targeted. In fact any weapon is only effective if properly targeted – and can cause huge damage if it’s pointing the wrong way. Whilst forgiving the somewhat campaign/war like bent of this view, applying this analogy to a blog – you have to identify the overall nature of your enemy and then hit specific targets with your posts. So what you need is a brief and a targeting system. All projects require a brief – to set out aims, objectives and methods of measurement. Without a clear brief that sets out what is wanted, when it is wanted by, and the specific criteria for success, no project can be a success – because success is not defined. A blog should be no different. Even if you already have an established blog, you should go back and write a brief for it. What is the aim of the blog? What is the budget – time, resources and money? Who are your readers – your buyer personas? I covered this in my first article here: Why are you blogging? To summarise – you should have a strategic aim (or aims) for your blog – an overall reason (or reasons) for the blog. It is very important to have some criteria established so that when your blog is reviewed you have some yardstick to measure its success or failure. Otherwise how will you know whether it has been worthwhile? Ideally you should set some SMART criteria for your blog – which is often easier said than done. But the more Specific and Measurable your criteria, the easier it will be to judge progress. When it comes to blogging, time is usually the main resource constraint, but a monetary budget may also be relevant. For instance, you may need money for photography or stock images, for illustration, for editing services, for content creation or even for promoting your posts. It is important to plan for the time that writing a blog takes – make sure that resource is set aside to write and edit the blog. And don’t forget about research time, interview time, management time, and all the other time-dependent tasks associated with a blog. The most important factor in the success of a blog is its ability to attract readers – for without readers, a blog is meaningless. A blog must therefore, be reader-driven; they have to be written for the reader first and foremost. They should not be written for the benefit of your organisation, for the management, for yourself or for your Marketing department. You should start with a clear profile of your readers. Because a good blog should be a reflection of all of your organisation’s activities; nearly every blog will have different types of readers: customers, prospects, press, dealers, your own staff, even competitors. So you need to clearly identify who they are, what it is they want, how important it is to them and hard they will try to obtain it. Consider the following: Think about who will read the blog and what form the information will need to take. Is it formal or casual? Is the reader young or old, or any age? Is this a specialist blog to be read by people that will understand jargon, or might the audience be made up of general readers? The buyer persona will have a dramatic effect on the choices made by the writer. Imagine yourself as a typical reader – or even as different types of reader – what would they like to see? What posts are they most happy with? What other websites do they look at? Try to imagine the reader’s lifestyle – what car are they likely to drive? Do they have children? What are they likely to do at weekends? Where do they go on holiday? What restaurants do they go to and what films would they go and see? Do they go to the Opera, or the cinema, or the pub? By putting yourself in your reader’s shoes you can build up a profile or persona that can guide you when writing a blog post. You have to provide content that answers that question, and it is only by understanding what makes your readers ‘tick’ that you can do that. These four elements are the foundations of a good brief. 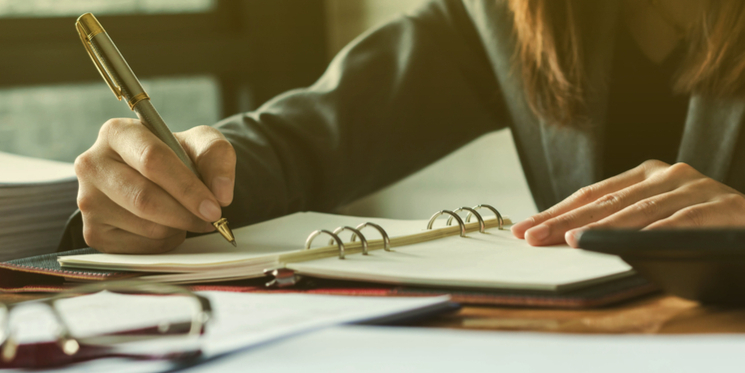 Every so often you should review your brief to ensure it stays relevant in the face of changing markets, your organisation’s strategic goals, the target audience and other factors. Having a brief keeps your blog focussed on the target. Relating performance measurement back to your brief will give you a handle on the success (or otherwise) of your blog. It’s your guidance system. With a good brief for your blog, you can set up your targets and hit them dead centre with your posts.